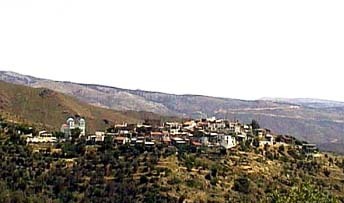 Parparia is located in an altitude of 300m. In the central square of the village where local festivals are organized on July 26th and September 25th, the visitors can find traditional Cafes. In the area of Panaghia Pagoussena, NW of the village, where the famous church is, there are water springs of excellent quality. In Zanakounta, the beach of the village, there is the chapel of St. Isidore.